Home » H1B Visa & Consulting » Immigration| Visas » How to check Your US Travel History, I-94 Online ? I was traveling to US after 4 years on Business visa with new passport and valid US visa in Old Passport. As I was checking my old passport for visa stamps at US port of entry, I could not really find my previous stamp that was done in US. I was kind of really worried about not able to find the Stamp that they do at Port of entry. I could not really recall what exactly happened four years ago… Just to be safe, I was searching online, how do I check my status and travel history…that’s, when I stumbled upon I-94 section of the CBP website, where I was able to retrieve my Travel History to US in the last 5 years. Thankfully, I found my travel history and I printed that info, just in case, there are some issues with their system J . If you are not sure like me, it is always a good idea to check your US travel history on the I-94 section of the website. Below is a step by step process. What info do you need to get US travel History ? You will need to have your Full Name, Date of Birth, Country of Citizenship and Your Passport Number to fetch your Travel History to US. Step 4 : Enter Traveller Info, here is where you need to enter your details of name, passport number, date of birth, country of citizenship and hit next. Step 5: Your Travel History results are displayed in Table or other format, depending on the results. See below for both the formats. Step 6 : You can also get your I-94 copy here, if you click on the bottom part. Important Caution : This info that is displayed on the website is for public consumption and not official form of info. If something is wrong, there is nothing that you can do, no action is required. In my case itself, I see missing information of some of my arrivals and some details of the airports. But, there is nothing I can do. So, take this info with a grain of salt and do not get into panic mode, if you see something is missing here. You can always email CBP, if you need more clarification. Again, do not worry, if your Travel History does not fully reflect in the system. You will be fine. You will anyways have stamps on your passport, so nothing to worry. How does it look for you ? Any other tips to share on this travel history ? I have also “unavailable” location of my departure in that form. Do you know if there is going to be a problem at the airport if the location of your previous departure says “unavailable”but the date is correct? No, it will not have any issues, I have something like that for me as well and it was fine at the port of entry. Just carry all your passports. Softnice inc , cambay LLC, Spica is a fake which provides fake candidates . My Visa will be expiring on 29th September 2017 [Currently in India] and I’m not sure whether I will be able to apply for extension before 29th Sept 2017. 2. Is extension and Renewal process are same? I am assuming you are talking about visa stamping in Passport…If so, yes, you can apply for renewal/ extension with relevant documents. You may be eligible for dropbox. 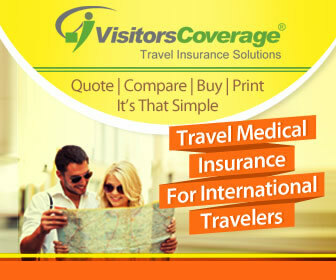 Check the requirements on USTravelDocs website . Yes, you can do it in India with relevant documents from your employer.